Are granite countertops right for you? Here is some expert advice. Granite. It’s the most popular natural countertop surface for kitchens and baths in America. And for good reason—it’s durable, easy to maintain, and beautiful. It’s also a relatively simple upgrade in an old kitchen that will add value to your home should you choose to sell it. For more insight on granite countertops, we turned to contractor Gencer Hepozden, owner of Perspective Construction in New York City. It is a natural, sturdy stone that is more durable than marble. What makes it so popular? The fact that it is more durable than marble makes it a good choice for kitchen counters. 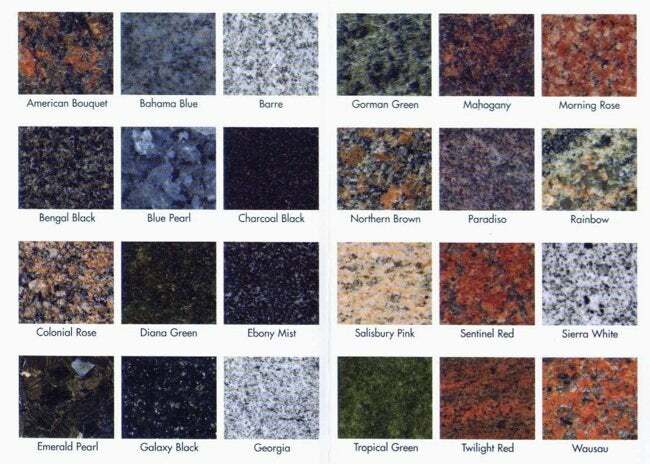 And because granite countertops come in a wide range of colors, they appeal to most people. In fact, granite is the most sought-after choice of countertop material. The color choices of black pearl and absolute black are widely popular among consumers for use in the bathroom and kitchen, on floors and walls and counters as well. What are its primary characteristics? It comes in a wide range of colors, and a wide range of edge treatments are also available. Compared to marble, it offers a more uniform pattern is more sturdy. What are its pros? Granite countertops are durable, acid-resistant, moisture-resistant and scratch-resistant. Its cons? It absorbs oils fast, and the lighter colors show stains more than darker ones. Why is it so expensive? That is a common misconception. Granite is actually inexpensive compared to many other alternatives. Marble, for example, is higher in price, especially due to certain kinds (like White Thassos) not being available. Since marble prices have increased, customers have come to prefer granite. Blue granite is the most expensive. How much does it cost? The cost of granite countertops range anywhere from $10 to $170 per square foot. Fabrication and installation costs vary between $40 and $100 per square foot. Elements that reflect on the price include the thickness of the slab, the type of edge treatment, whether or not a backsplash of the same material will be included, and the color of granite (blue being the most expensive). What are its installation requirements? First the cabinets have to be installed in order for granite countertops to be templated for a proper fit pre-installation. Once the template is made, the granite is cut to fit and should be installed by a pro to ensure it is level. After installation, granite needs to be sealed. We prefer to use Miracle sealer. The right sealer can make granite oil resistant, too.